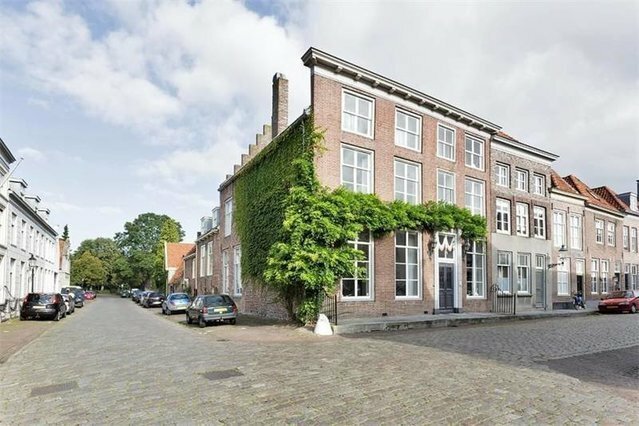 Monumental in a modern outfit: Very atmospheric residential home in the main street of fortified city Heusden with many authentic monumental elements. Entrance, a long hall which provides access to various quarters, royal living room, library, office and the garden room with fireplace. 5 bedrooms, stylish bathroom, the attic been opened up, which is nearly a home in itself of approx. 90 m2. Pleasant city garden and nicely situated when it comes to positioning towards the sun.